In business, knowledge is power. Having information on companies in the wholesale produce industry may mean the difference between success and failure. 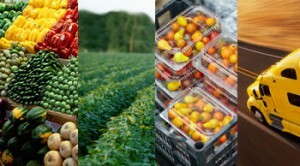 Blue Book Services is the leading provider of credit and in-depth business information for the worldwide produce market. With comprehensive business reports, databases and information on buyers, transportation, sellers, and supply firms, our aim is to help your organization stay successful. Joining Blue Book Services means the ability to identify new leads with our powerful search engine. Previously complex searches can be made far easier by searching by rating, function, location and other modifiers. Organizations can also better analyze their market with business tools, including Blue Book Services’ credit ratings, scores and business reports. When used in concert, these tools will help your company make informed business decisions and grow profits. In addition, your business will be able to easily monitor the industry and be kept abreast of any changes that happen. This will help organizations stay informed about their business partners and competitors to be better able to manage risk. When utilized correctly, this can also lead to an increase in sales. Since 1901, fresh traders in the produce industry have relied on Blue Book Services to assist them in their business decision process. With our use of cutting-edge technology, facts instead of opinion and overall reliability, every business in the produce industry could benefit from joining Blue Book Services. ©2019 Blue Book Services, Inc.